The sheer amount of variety guarantees success; you are bound to find something that you like. 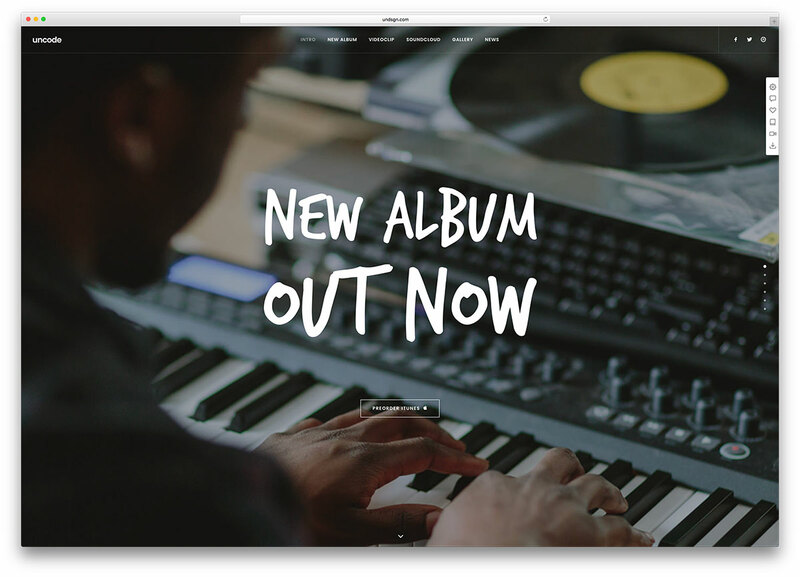 Try to choose a WordPress Musician theme that blends both aesthetic appeal and functionality. The design of your chosen page must be intuitive, and aesthetically pleasing. But, pretty themes are useless if their design obscures important details. Try to find a good balance, between design elements and info displays. 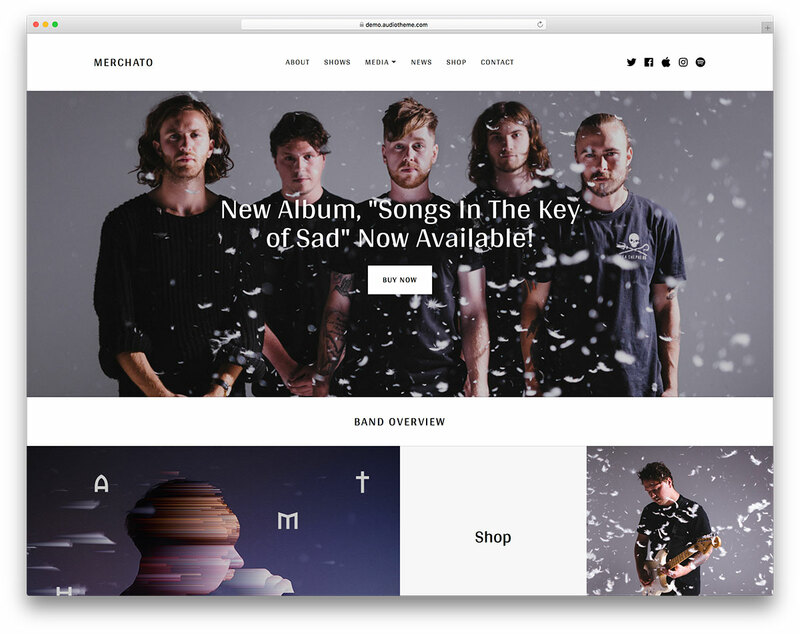 Merchato is a modern and responsive WordPress music and band eCommerce website theme. 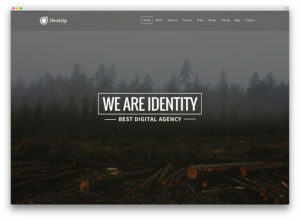 This theme empowers webmasters from any background to make incredible websites. 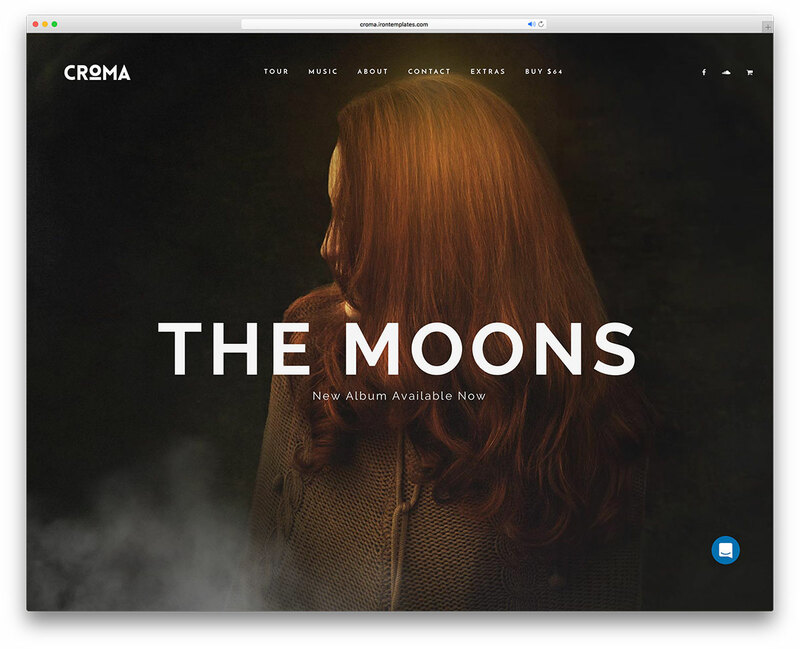 Croma is a colorful and youthful, intuitive and expansive, flexible and technologically feature-rich, rapidly responsive WordPress creative music multipurpose website theme. 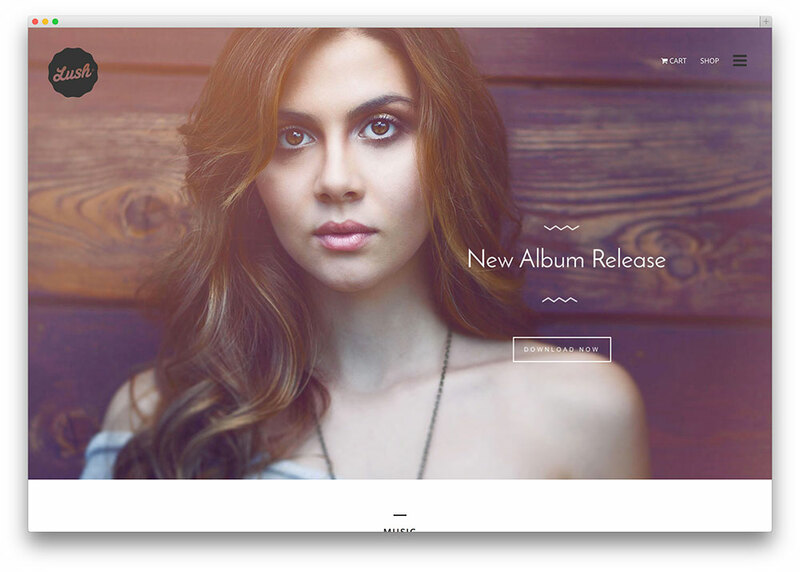 Hugo is a WordPress theme that can facilitate the creation of your artist web page. It has a large collection of innovative features, in addition to 8 gorgeous theme skins. Every skin was designed to cater to a different genre of music, and they can be further personalized by the user. Promoting your content online can be tricky, for those that are not tech savvy. 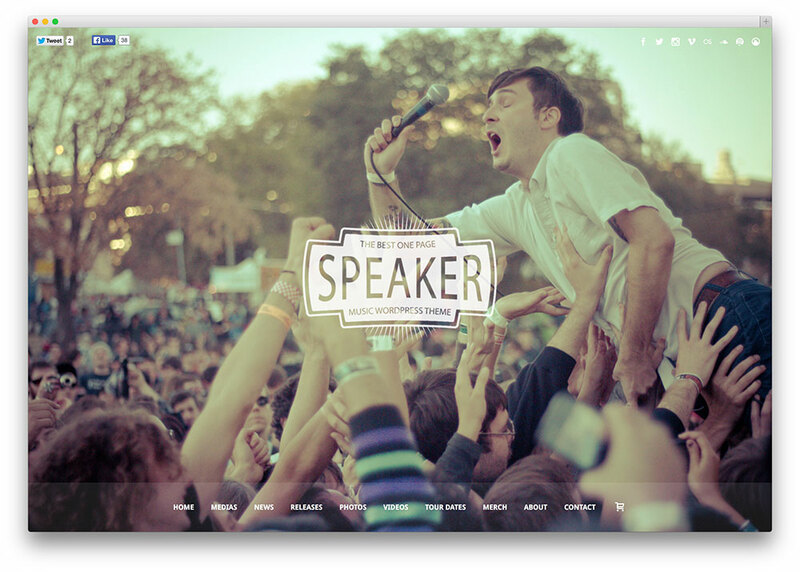 Speaker is a WordPress music theme that offers a solution to that problem. Its design is simple and easy to use, perfect for professionals and beginners alike. The user friendly experience is further aided by the code, allowing for easy modification. 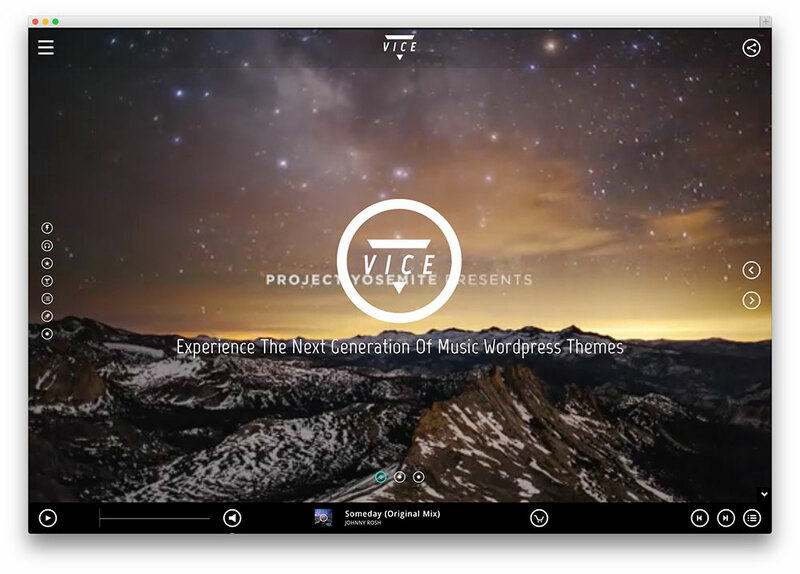 Vice is a perfect choice for those that are searching for an awesome WordPress music theme. You can use it to create an artful and inspiring website that is sure to attract plenty of visitors. 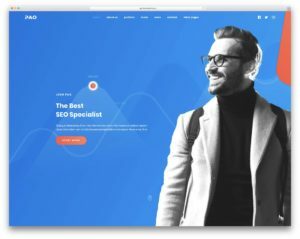 Uncode is an elegant and stylish, fresh-faced and youthful, bold and daring, fast-loading and readily responsive WordPress creative multiuse multipurpose website theme. 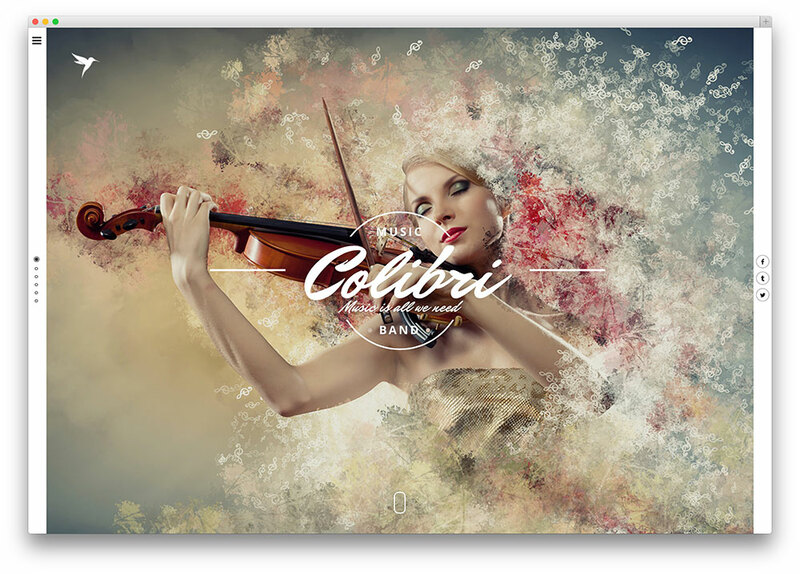 If you are a musician and you want to construct a cheap, yet effective website, look no further than Colibri. 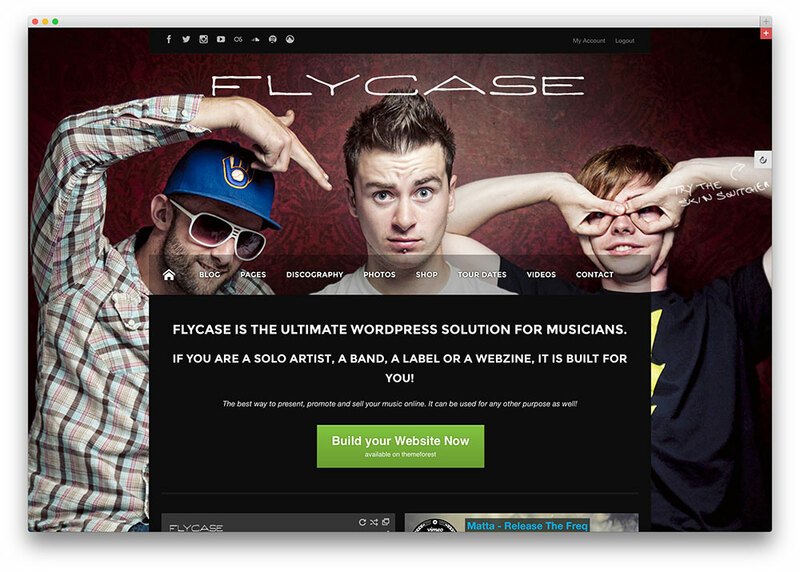 It is ideal for bands, singers, disk jockeys, guitarists or any other type of artist. In today’s marketing landscape, social media integration is essential for success. 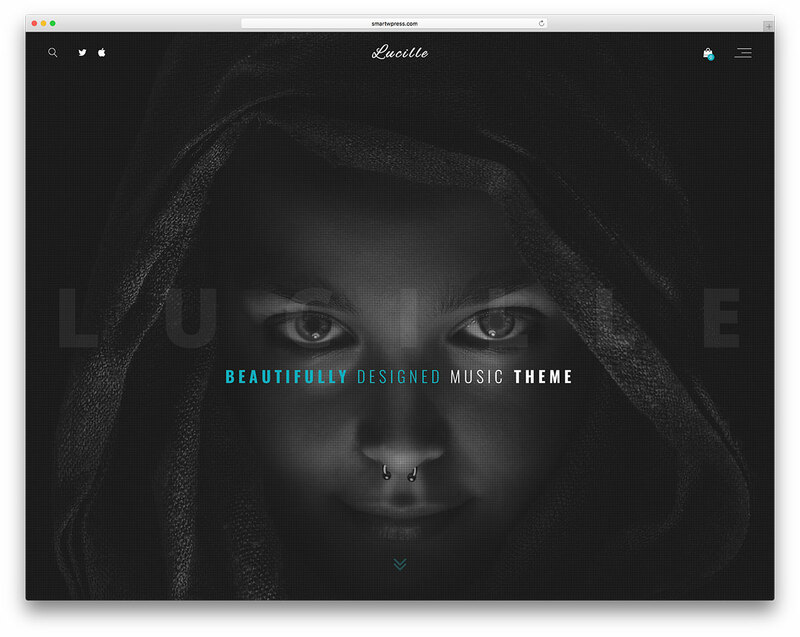 Lucille is a music dedicated WordPress theme. It has 4 prelauched demos so far aimed at the audience, with more targeted demos for artists on the way. 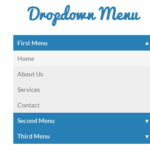 It uses Visual Composer for building content purposes and all screen devices adapting. Online shopping gets done with WooCommerce plugin. 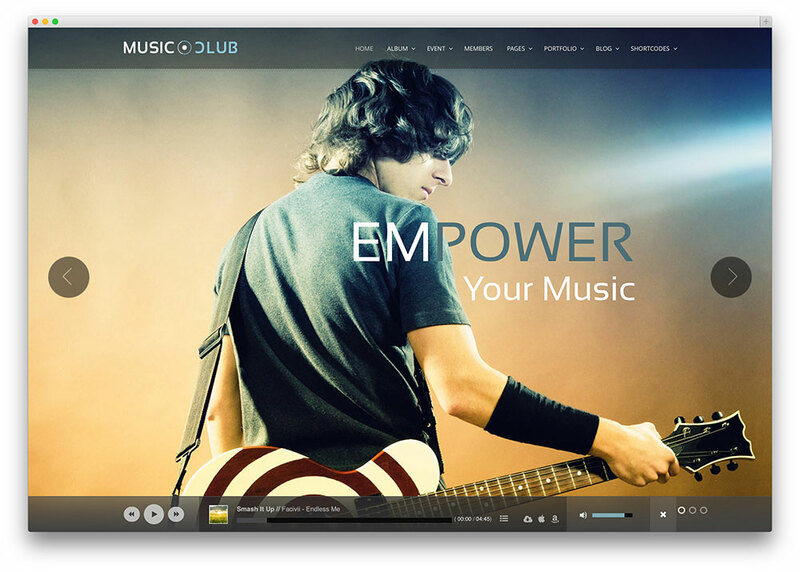 Music Club is a WordPress theme especially designed for djs, bands, singers or studios. It comes packed up with carefully crafted features related to music. 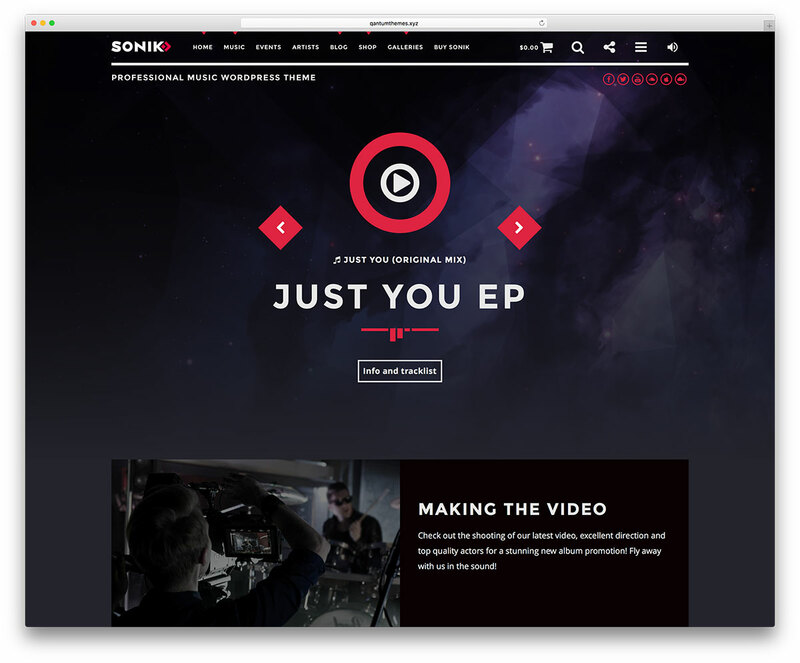 SONIK is a colorful and youthful, resourceful and modern, technologically cutting edge and highly responsive WordPress musician, radio, band and label multipurpose website theme. 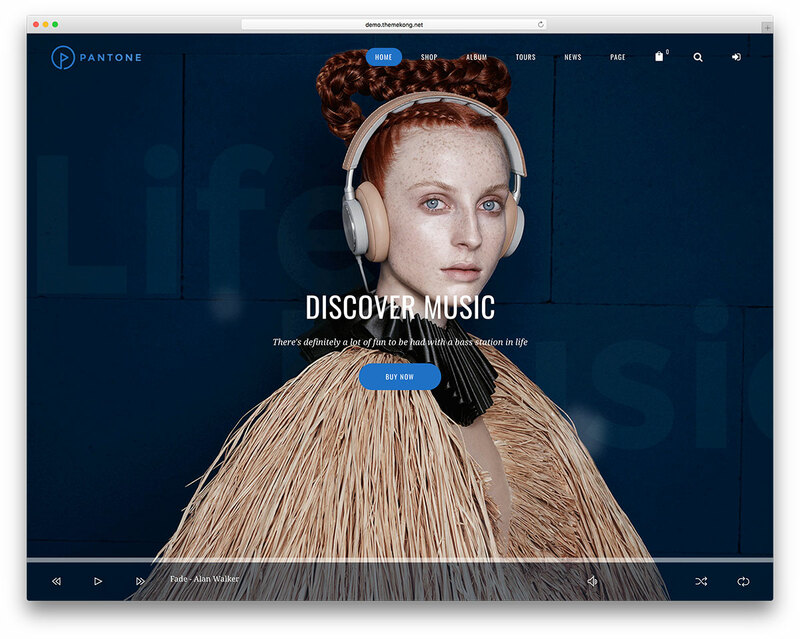 Pantone is a completely focused and specialized WordPress theme. Its topic is music and it suits bands, singers or sound lovers. It comes with a one-click demo install that makes set up a quick experience. 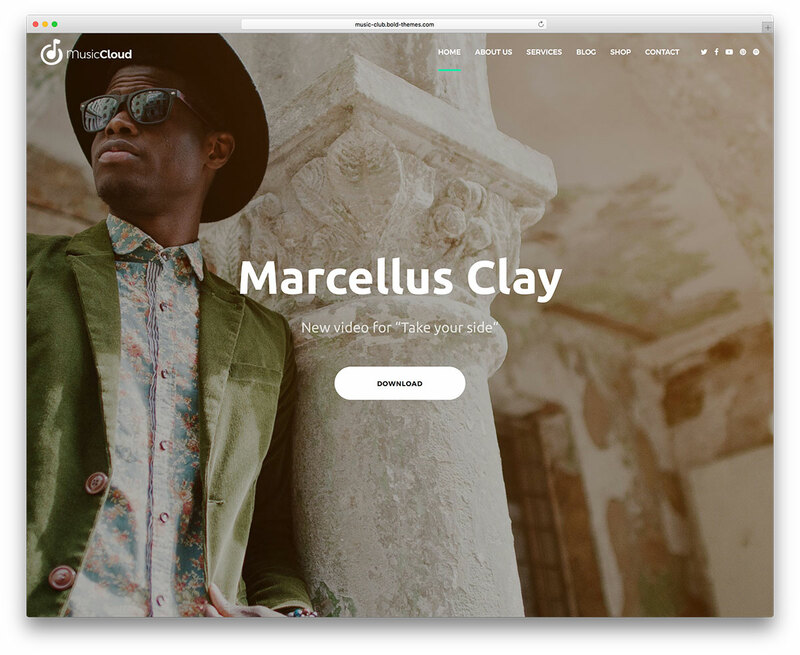 This is a Mailchimp Intregated WordPress theme for the professional DJ. Its design is simply beautiful, made to impress any potential patron. If you are a professional musician or club owner, it will help you pitch your event. 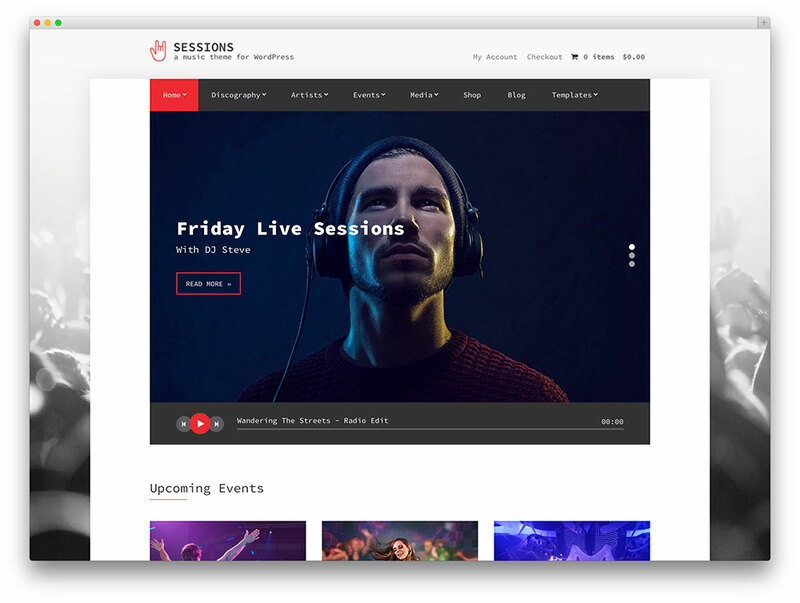 Sessions is a WordPress theme that is compatible with all modern browsers and devices. Regardless of the size of your screen, your website will look amazing. With music as its general theme, Lush tries to accommodate all genres and styles. 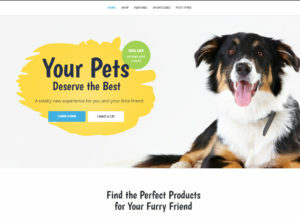 It includes a page builder and a visual composer, aiding users in constructing their personalized online pages. 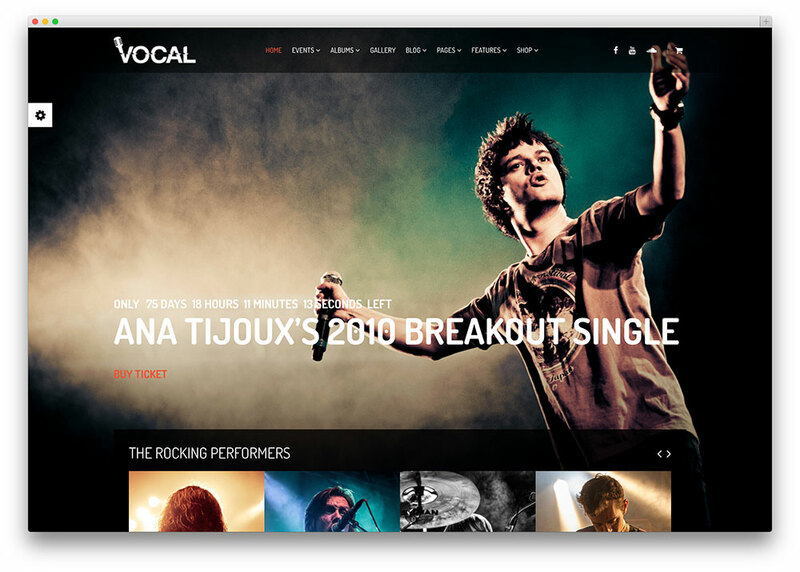 This WordPress music theme is designed to benefit all music enthusiasts. One of its trademark features is the inclusion of a floating music player. You can display it in the lower half of the page, and you can change it to a standard, static design. Music is about harmony, balance, and detail. Your website must reflect those qualities, and themes like FWRD promise to facilitate the site creation process. Its design is excellent, and its layout is fully responsive towards all platforms. You will not have to worry about resizing errors. 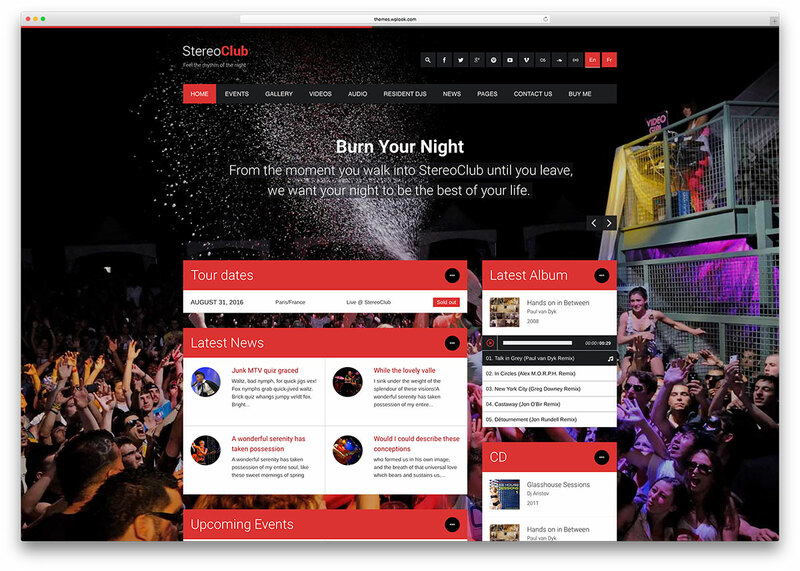 Without a doubt, StereoClub is one of the best WordPress themes on the market. Time and time again, professionals choose this theme because of its ability to save time and increase profits. 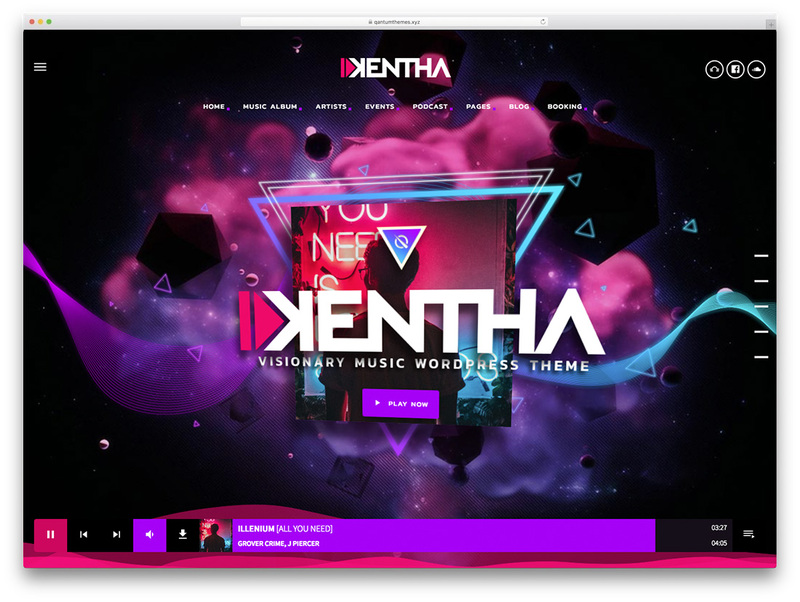 Kentha supports a full-screen video background, sports a fashionable drag and drop playlist creator and comes with a powerful live customizer. Get your tunes out there, spread the word and gain a massive and loyal fan base thanks to Kentha. 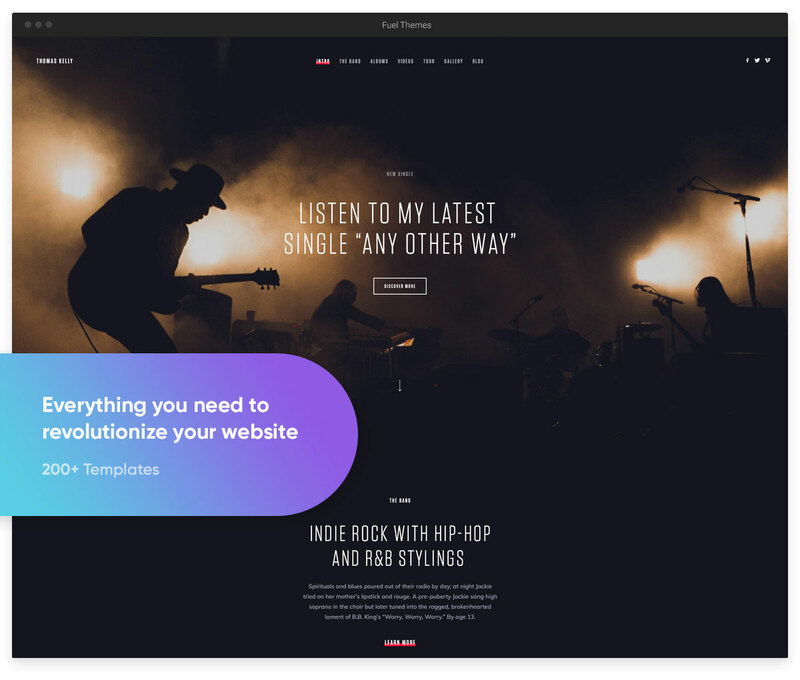 Revolution is a creative multi-purpose WordPress theme which alters to almost any niche you can think of. 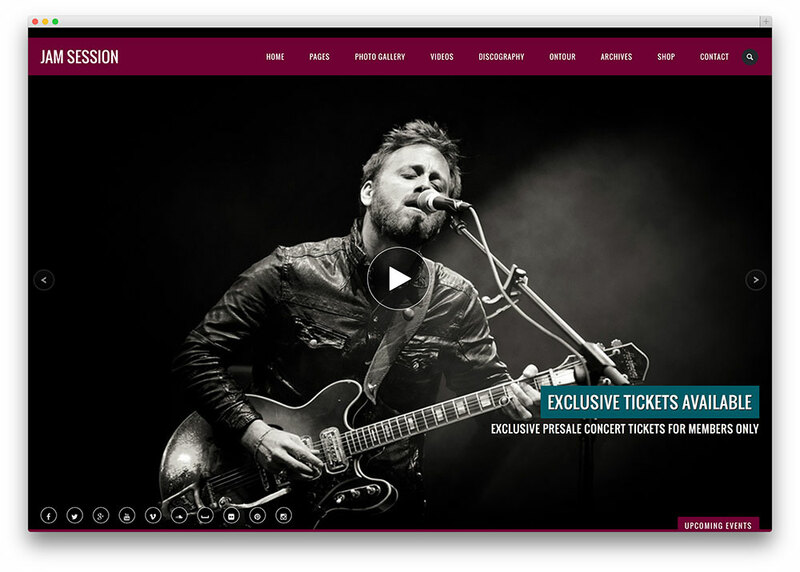 For thriving musicians, Revolution has an entire demo predesigned to speed up your web presence building process. 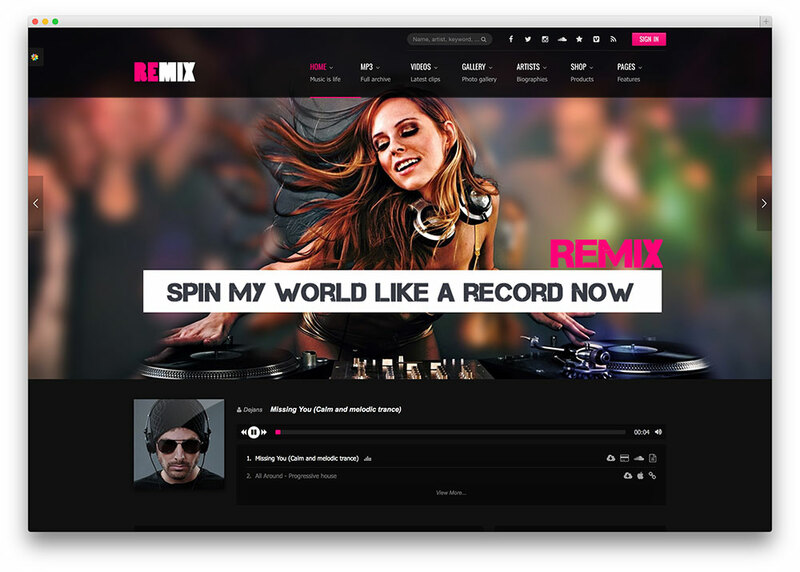 Available in both Windowed and Full Screen options,Remix is an impressive music theme for WordPress. It seems that its greatest asset is its visual design. 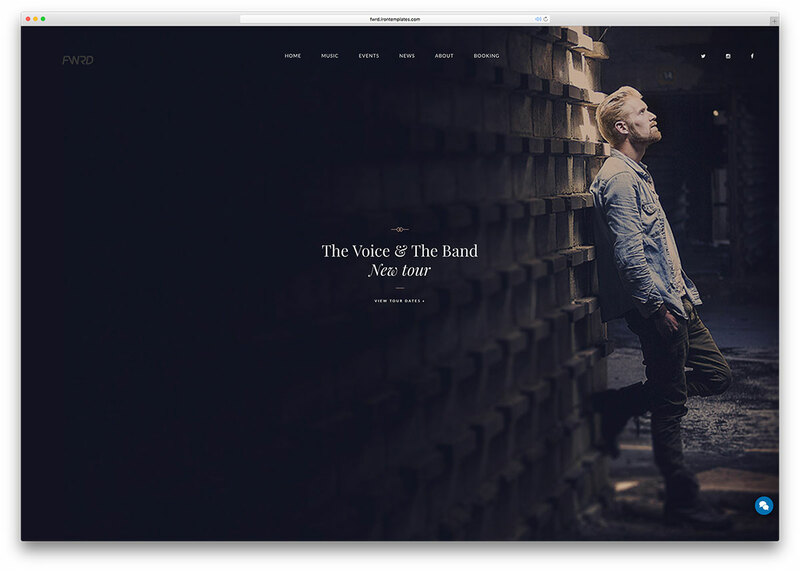 Musisi is a marvelously modern, highly stylized, eclectic and elegant, readily responsive WordPress multipurpose band and musician website theme. 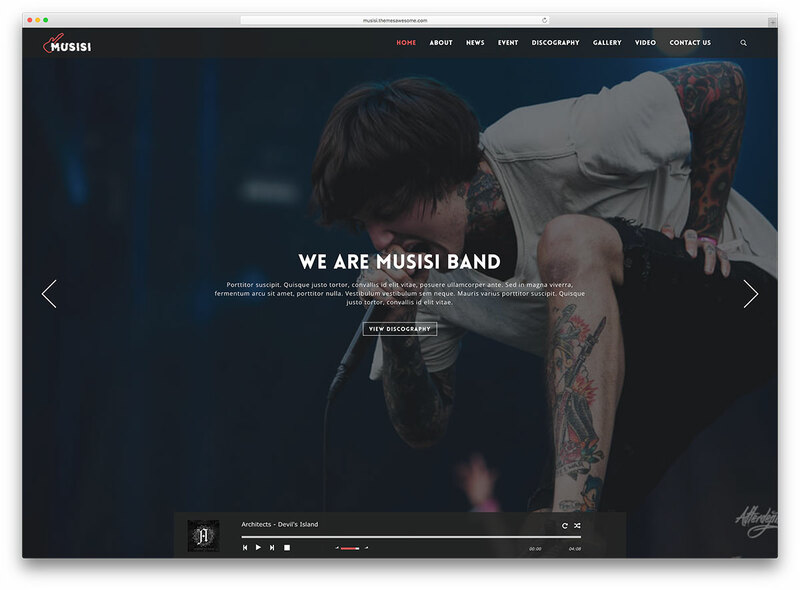 JamSession is an attractive, charming WordPress music theme. 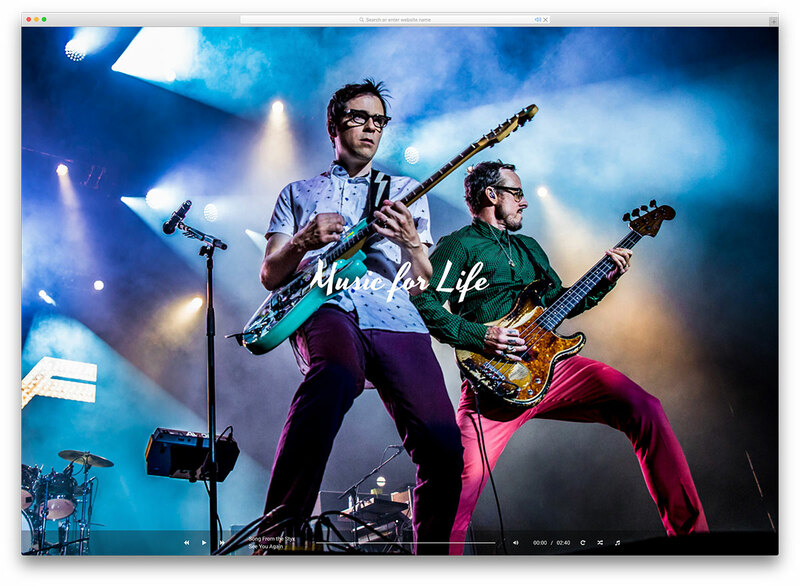 It has custom posts for events, discographies, videos and photo galleries.